(Winter) sun protection for your face from StriVectin, Serious Skincare and Kellett! 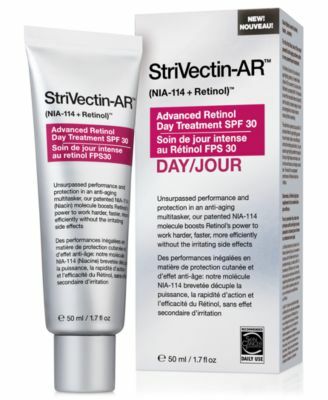 StriVectin-AR Advanced Retinol Day Treatment SPF 30 - 50ml - $109 - worried about multiple signs of aging? Then check out this daily multitasker with broad spectrum SPF 30 protection that fights the major signs of aging, including texture, firmness and wrinkles. Combining the patented, scientifically proven NIA-114 molecule to harness the potency of retinol, the gold standard in anti-aging, without the retinol side effects – including skin irritation, peeling, redness and sensitivity. Available at Murale, Shoppers Drug Mart and The Bay. Serious Skincare Serious-C C-Cream Vitamin C Ester Protective Daytime Broad Spectrum Moisturizer SPF 30 - 59ml - $28.50 - a protective daytime broad-spectrum moisturizer featuring 5 Vitamin C Esters and the Colloidosome delivery system, that with regular use, can help reduce the appearance of visible wrinkles for a younger look.. Available at www.seriousskincare.com and The Shopping Channel - www.theshoppingchannel.com. Kellett Skincare SPF 30 Face Sunscreen Lotion - 75ml - $35 - offers oil-free, broad spectrum UVA/UVB protection that is water and sweat resistant. The formula is super-light and soft and easily layers over your regular moisturizer and also makes a great primer for foundation!